News — We are Lighting up Blue for Autism Awareness! 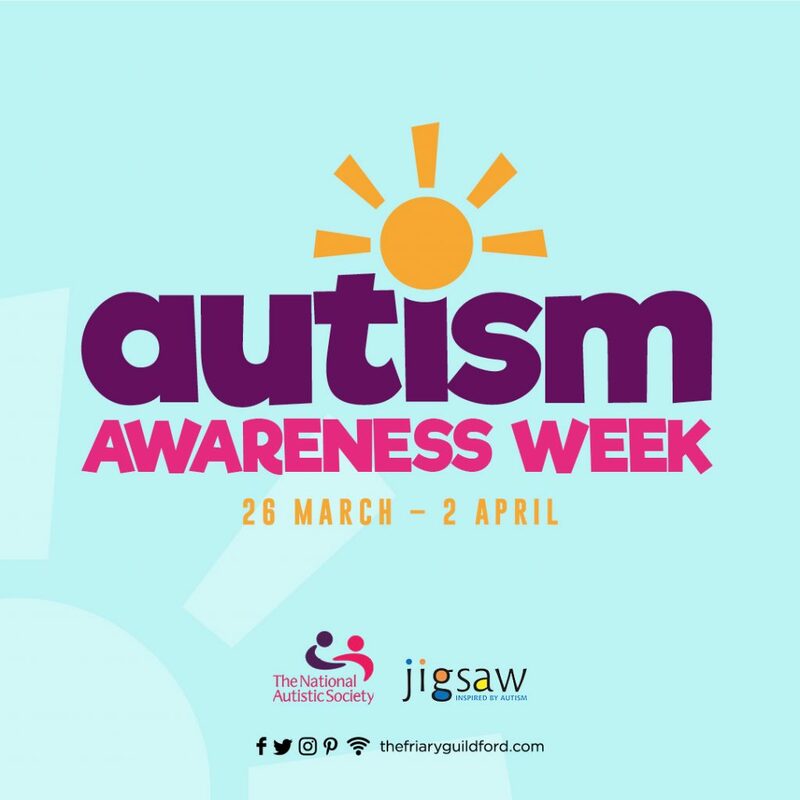 In partnership with Cranleigh based charity, Jigsaw Trust, The Friary Guildford will be hosting various activities on Thursday, 29 March from 10am to 4pm and Monday, 2 April from 11:30am – 4pm to raise awareness of autism. Retailers including Accessorize, Beaverbrooks, Boux Avenue, Mobile Bitz, McDonalds and Mr. Simms Sweet Shop have contributed raffle prizes which will be taking place on Thursday only, so be sure not to miss out! Jigsaw Trust will be running a colouring activity, giving you the opportunity to create a piece for the giant jigsaw. In addition, Jigsaw Trust will be showcasing some of their communications software used to support the linguistics of people with autism. Monday, 2 April will see The Friary Guildford light up blue as part of the International autism awareness campaign, lighting up with other local businesses including Tunsgate Quarter. Centre Manager, Vicky Hickson said, “All staff at The Friary Guildford have been autism trained as it’s so important to raise awareness of autism in our community. By understanding exactly what the condition is and how it affects people, we can modify our behaviour and environment to help those with the condition. For further information on Jigsaw Trust or to donate, please visit their website here.